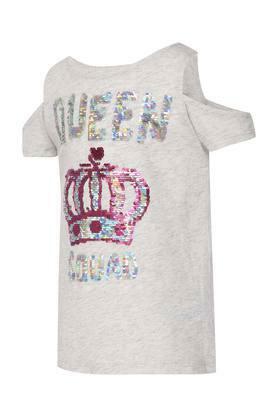 Lend a cute look to your daughter by making her wear this top from The Children's Place. It has been made of a fine quality fabric that will provide her with optimum breathability. 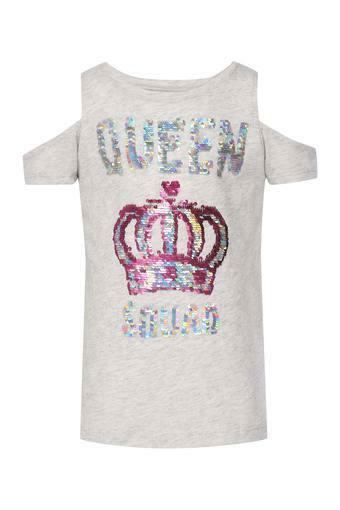 Moreover, it features a cute print detailing at the front which will make it her instant favourite. 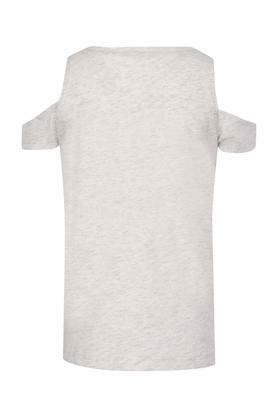 It also has cold shoulder sleeves that add to the design. Add variety to the clothing collection of your little girl by including this top. She can club it with a pair of jeans and lace up shoes to look pretty for casual occasions.